When you print invitations with us, you will get the response you’re looking for. We can print invitations for all sorts of occasions. You can create wedding invitations, birthday invitations, party invitations, and custom invitations for corporate events. We have three types of invitations: flat, folded, and foil. Available in different sizes, our invitations can be printed on our economical 10 pt. cardstock (not available for foil invitations), standard 14 pt. cardstock, or our ultra-thick 16 pt. cardstock. 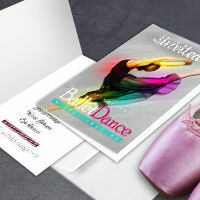 We give you the option of coating flat and folded invitations in matte, gloss, or high gloss UV. But if you plan on handwriting personal messages, we’d suggest you leave your invitations uncoated. Both types of invitations come with envelopes. Create and submit invitations before 10 a.m. and they’ll be printed the same day. 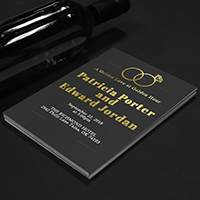 Our foil invitation printing lets you add gold, silver, or copper foil to your designs, along with two foil printing coating options: uncoated or silk laminated. 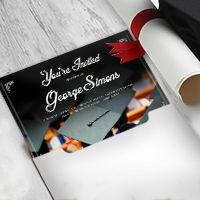 Silk lamination is a coating option that leaves the invitation with a soft finish. This coating makes invitations water-resistant. Adding spot UV to the design makes foil invitations shine brighter. We pride ourselves on the quality of our printing. Before we print invitations, we check your file to make sure your invitation cards turn out fantastic.